Michael Boudreau bought a Pursuit C 310 with twin 250-hp Yamaha 4-strokes from Striper Marine in Barrington , R.I. , in January. 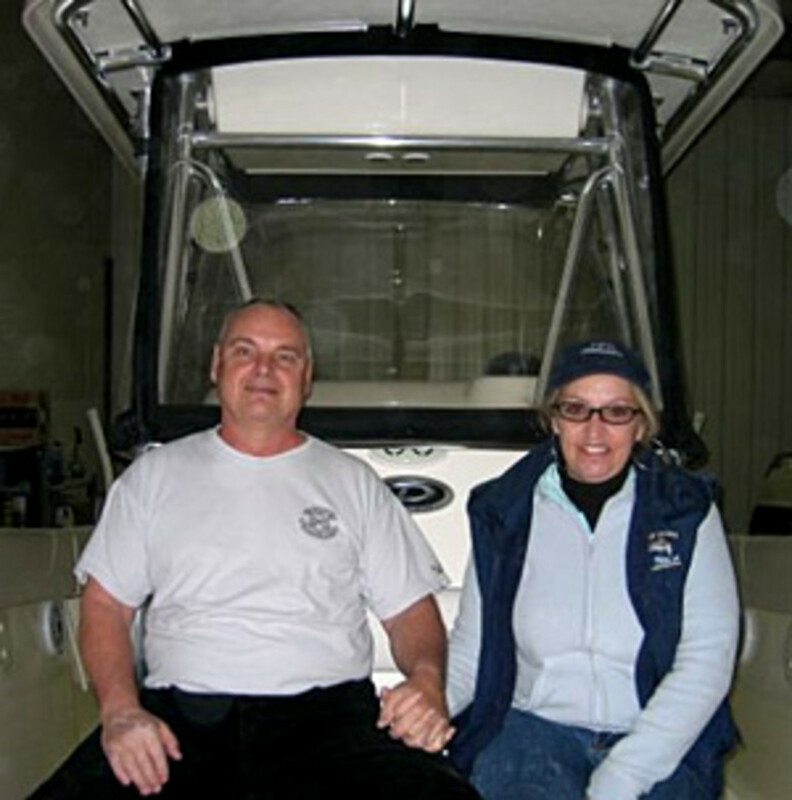 He bought the center console after looking at one at the Hartford (Conn.) Boat Show. “We had seen the Pursuits online, but my wife, Jeannie, and I wanted to see one for ourselves,” says Boudreau, 58, of Glocester, R.I.
Boudreau says they’ve gotten into tuna fishing and wanted something they could comfortably fish on at night. He says he has a stable job at the State Department of Corrections and figured since his investments were going down anyway, he might as well get the boat of his dreams. Al Elson, president of Striper Marina, says the retail price of Boudreaus’ Pursuit is about $206,525, but the buyer declined to say exactly what he paid for the new boat. Boudreau says he easily got a 20-year loan with a 4.8 percent interest rate. The only difference was that the bank was looking for a higher credit score than before — 680 versus 620. “Fortunately, we were fine,” he says. 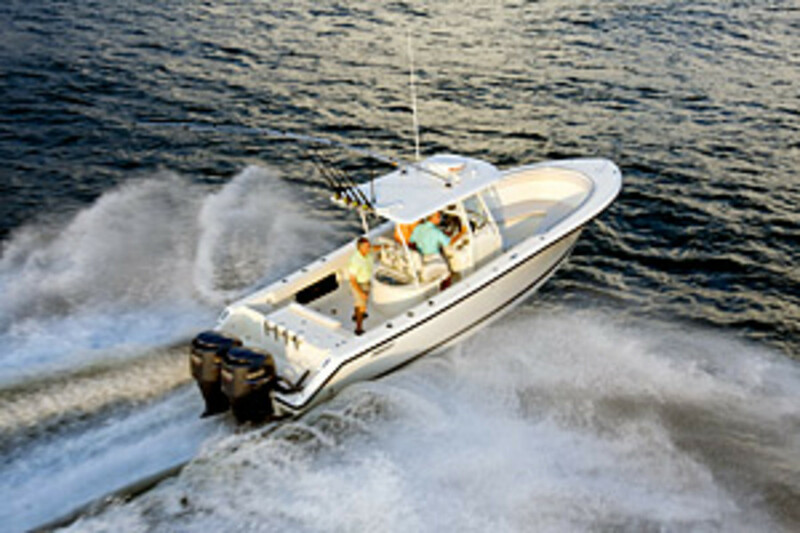 Regardless of the economy, Boudreau believes that people who love boating and fishing will continue to do so. Click here for Part I of this series, which runs through Wednesday.